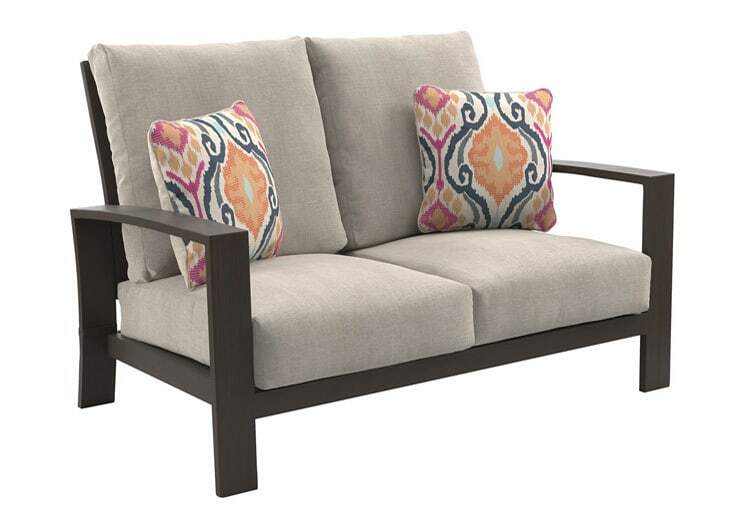 Just one look at the Cordova Reef outdoor loveseat makes you want to sit down and relax. Ladderback design with plush cushions is casual yet attractive. Throw pillows in orange, pink and shades of blue enliven the look. Hesitant about putting light colored upholstery outside? High-performance Nuvella™ fabric makes it easy to clean any dirt or stains.